As winter sets in and this year’s fishing comes to an end, it is time to start planning your Colorado fly fishing trips for every month of the new year. Colorado offers excellent fly fishing for trout every month of the year and the guides at Vail Valley Anglers are on the water every day. Let’s take a look at when and where to fish around Vail, Colorado and what guided fly fishing trips to book throughout the year. Regarded as a tough time for fly fishing by some, it is possible to have some incredible days on the river in January. Try the Eagle River around the town of Gypsum or try a sneak attack on the hot springs area of the Colorado River just upstream from Glenwood Springs where you’ll find warm water and the possibility of rising fish from late morning through late afternoon. Find deep water and fish it slowly and thoroughly. Anglers looking to book in January should consider a Half-Day Wade Trip starting around ten or eleven in the morning. The days get a little longer and warmer and by the end of the month, much of the river ice is breaking up. 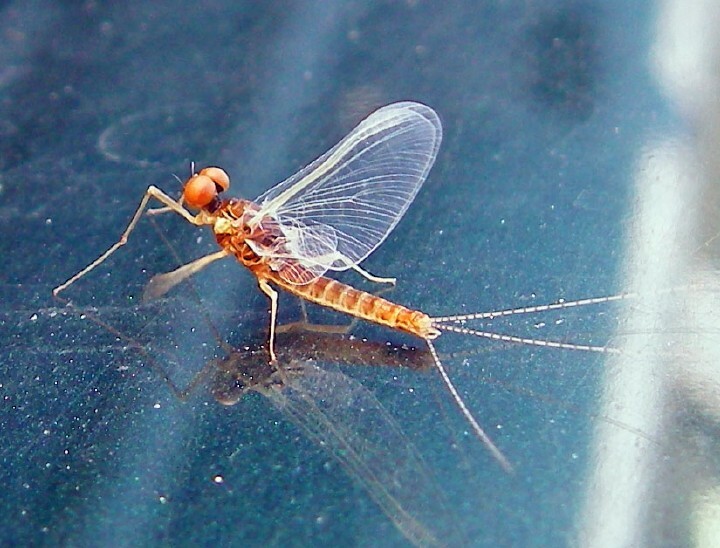 Midge hatches intensify and trout, especially big rainbows, become more active. Try finding open water on the middle portion of the Eagle River between Edwards and Wolcott where you’ll find eager fish that have been hidden under the ice for a couple months. A Full-Day Wade starting around 9am, gives anglers the opportunity bounce around to multiple spots throughout the day or even fish two rivers such as the Eagle and Roaring Fork in one day. In my opinion, March fly fishing in Colorado is second only to July. Longer days, warmer water, aggressive prespawn rainbows and predictable midge and BWO hatches make for great fly fishing on several local fisheries. For wade fishing, try finding some rising fish around Lionshead on Gore Creek or on the Upper Eagle River around Avon. Without a doubt, the best guided fly fishing trip choice at Vail Valley Anglers in March is a Full Day Float on the Roaring Fork River. Milder weather and larger trout make this a no-brainer. April is a season of change in our part of Colorado and sometimes it is a boom or bust fly fishing month. Water levels begin to rise and conditions change rapidly. Consistent wade fishing can be found on the Eagle from Wolcott upstream. The upper Roaring Fork between Aspen and Carbondale can also be very good. For those that time it right, float fishing is the way to go. The upper Colorado around Pumphouse begins to come alive, and both the Roaring Fork and Eagle River will see a late-April Caddis hatch that brings epic dry fly fishing. Streamers also catch some very big trout in April. An afternoon Half Day Float is great guided trip choice in April. Colorado fly fishing in May is highly influenced by weather and snowpack levels. 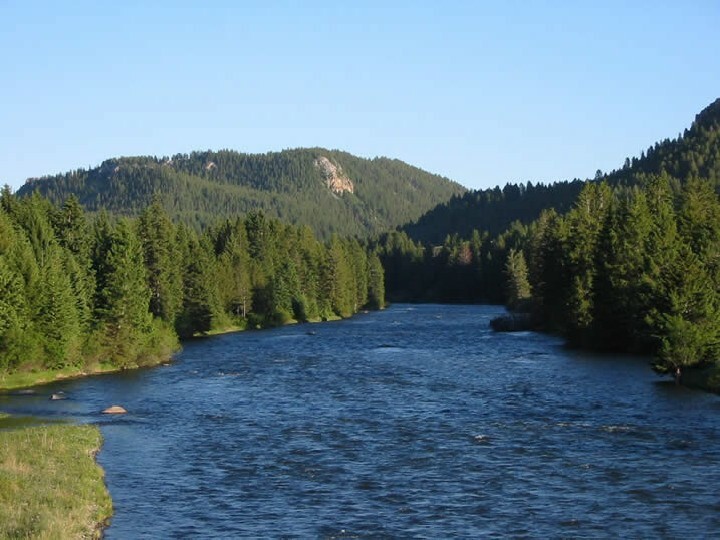 Early May can find similar conditions to April and very good fly fishing while warm weather later in the month will result in high, off color water and tough fishing. This is a good time to explore some of Colorado’s lake fisheries. At Vail Valley Anglers, our saving grace in May comes in the form of dam-controlled flows on the upper Colorado River and a huge, ugly bug that trout love to eat called a Salmonfly. While these bugs hatch later in the month, trout key on them early in May before the hatch. Book a Full-Day Float to get in on the action. June begins like May ended but brings the promise of a summer full of outstanding fly fishing. Early in the month the water is usually high on most rivers but Salmonflies are still hatching on the Colorado. By the middle of the month, water levels are dropping and the fishing turns on throughout the Vail area in Colorado. Because of higher water levels, wade fishermen are at a disadvantage on moving water but float fishing can be very productive with dry flies and streamers. The summer caddis hatch gets fish feeding aggressively and it’s hard to beat a Guided Half-Day Float on either the Colorado or Eagle River. We wait all year for July at Vail Valley Anglers. It’s our busiest month and there’s a reason for that. The options are endless and the fishing is dependably excellent all month. Wading the upper Eagle and Gore Creek is hard to beat while float fishing on the Roaring Fork and Eagle brings non-stop dry fly action with hatches of caddis, PMDs, Green Drakes and Yellow Sallies. Our most popular trip choice is the Full Day Float but an Evening Twlight Half-Day Float gets anglers away from the crowds during a productive time of the day. In August the fishing in Colorado is still very good but conditions change. Water levels drop and air temperatures rise and hatches taper off, dictating a change of tactics. Early morning starts become more important and fly choice is now more critical. The Eagle is now unfloatable but wade fishing remains very good, especially while nymphing riffles and runs. Additionally, August brings the best fishing of the year on high country creeks. Float fishermen should look towards the upper Colorado River where hopper dropper fishing is the name of the game. The best choice for a guided wade trip is a high country creek expedition on our Hike-N-Fish trip while early morning Half Day Floats on the Colorado are a good choice. After the sometimes windy, hot conditions of August, September brings a respite and the fly fishing picks up once again. Cooler nights and the appearance of fall BWO hatches create better conditions. Brown trout become more aggressive in anticipation of their fall spawning run. Wade fishing on the Eagle and Roaring Fork is very productive with lower water and defined holding areas. Float fishing on the Colorado and Roaring Fork is great with continued hopper action and increased streamer fishing opportunities. Because the easy-to-access public water has been pounded all summer, it’s hard to beat fishing for unpressured trout when you book a Private Water Half Day Wade trip on our Eagle River lease or a Full-Day Float on the remote sections of Colorado River below State Bridge. October fly fishing in Colorado is a favorite among Vail Valley Angler’s guides. Ideal weather, beautiful fall colors and hungry trout looking to bulk up before winter make October third on my list for best months to fish. Wade fishing on the entire length of the Eagle River is fantastic with the possibility to catch fish on streamers, dry flies and nymphs in the same day. Check out the upper river around Eagle Vail in October. For a serious float fishing deal, book a FreaknFish guided float trip on the Colorado River. 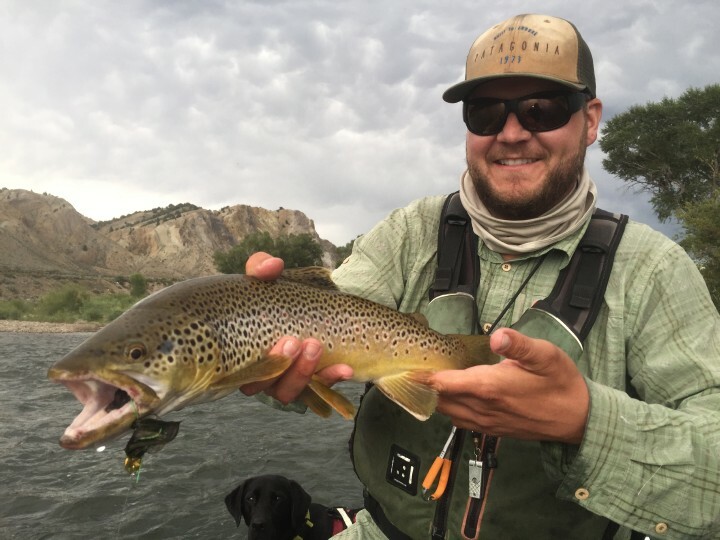 You get a full-day float for the price of a half-day, the river is uncrowded and big brown trout chase streamers with gusto. November has a couple of different faces. Fall and winter. The first half of the month conditions remain similar to October and the float and wade fishing are generally good. Trout will continue to eat BWOs on the surface, chase streamers and gulp down egg patterns. Later, we see the first signs of real winter in Colorado and our fly fishing tactics change. I prefer the Red Canyon and Eagle River Lease area for half-day wade trips. For full-day float fishing, I like to switch locations from the upper Colorado down to the Roaring Fork and Lower Colorado, where water temps and weather conditions are generally milder, extending the fall fly fishing seaon. December in Colorado brings colder weather and shorter days but there is still good fly fishing to be found. Winter fly fishing in December is usually more productive while wade fishing than from a boat. Ice begins to form and it may be necessary to “hole hop” from one deep wintering hole to another, focusing on areas where large numbers of trout are concentrated. Early starts are unnecessary as the best fishing is from 11am until dark. The best bet for a guided fly fishing trip is a half-day wade trip. Keep in mind these are general guidelines and fishing conditions change rapidly. 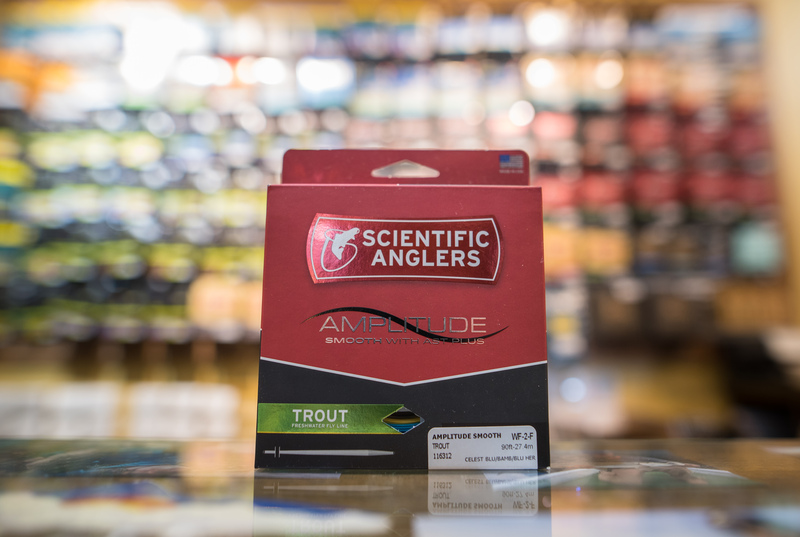 At Vail Valley Anglers, we are lucky enough to have many trout fisheries to choose from. This gives us the flexibility to always go where the fishing is the best on our guided trips. Check our fishing reports and Facebook page for the latest updates. We look forward to another great year of fly fishing in our part of Colorado in 2016.